November 1995. The Church of the Swedish Assembly In Berlin. 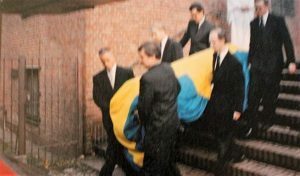 In the coffin is Carl Gustaf Svingel. Those gathered to take good care are grabbed by the opera winger Ingvar Wixell’s song. On one of the wreath bands you can read the Swedish King Parade. On another ”Unserem Freund Family Summer Trail”, thanks for the fact that Svingel helped Queen Silvia’s relatives out of the DDR. 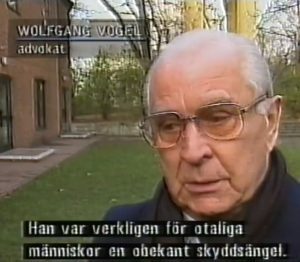 Following the act, Sweden’s Television Wolfgang Vogel, the East German lawyer, interviewed Svingel, negotiated refugee purchases and became a close friend. ”I thought in silence at the coffin: he was really an unknown guardian angel for many people . ” A true human being, those words were on many lips that day. 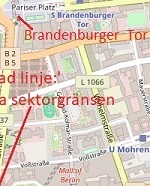 The negotiations were often held in Haus Victoria, the retirement home that Carl Gustaf Svingel ran in the suburbs of Grünewald. Vogel recalls ”It was discreet. Carefully adapted to both East and West Berlin. It was a neutral area where we felt relatively safe ”. 33,000 prisoners were bought with the western currency conveyed by the Lutheran Church; not seldom shipped in Svingel’s Consularly-shielded Porsche and then a Volvo P1800. An estimated 250,000 East German people could get through the iron curtain, much thanks to the involvement of Vogel and Swing. Svingel and Vogel had to pay a price for humanism. For the Swedish part of 1970, when the courier business of Hebert Wehner and Willy Brandt had such an extent that the church leader Heribert Jansson let the archbishop Ruben Josefsson scare. Peace brokerage and refugee trade were really in the role of the Swedish church and the money needed better in developing countries. The conflict was no less because the church leader for his refugee smuggling was ported on the east side. This because he had hidden a number of East German voices in his Jaguar drawer after leaving medical supplies and supplies for the needy. That a simple old-age governor was a coctail partylion with straight strings to heights on both sides of the wall was difficult to melt for the retired priest. The Swedish Lutheran aid decided to shut down the Haus Victoria half-year of 1971. Consequently, without Svingel, one would be less likely to be a problem. Then Berlin’s former consulate general, Sven Backlund and Herbert Wehner, then group leader of the Social Democrats. ”Do all that Swing’s humanitarian work can continue unhindered and unrestrained” as it was stated in Wehner’s letter. With former Gothenburg bishop Bo Giertz as chairman of Luther’s help, Haus Victoria received a respite. And thus also respite for a hard-headed sword. 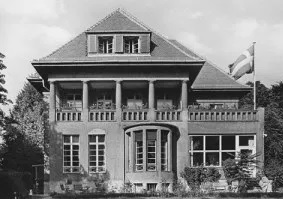 The following year, Diakonisches Werk took over the funding, until 1984 when the retirement home was sold and the couple Svingel / Imma Grossmann retired in an apartment on Fasanenstrasse near Kürfurstendamm. 1991, two years after German reunification, married Carl Gustaf Svingel and Imma Grossmann. 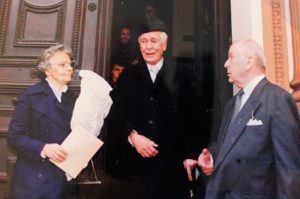 The wedding witnesses in the town hall were Wolfgang Vogel and the wife of Helga, now living in the Bayerian Alps since the lawyer discontinued his internship in Berlin. The participation in the wedding was a gesture that consolidated friendship. Vogel started to get hot on her ears. Vogel was accused of the fact that the DDR time at underprice had bought properties of people who would fly to the west. In the same issue in March 1992, as Spiegel has a ten-page articleabout Carl Gustaf Svingel, the newspaper reveals that Vogelworked as an agent for Stasi under the cover names Georg and Eve. 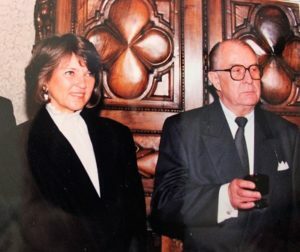 Paper with evidence believed the Native Prosecutor had discovered in a portfolio at Stasseichefen Mielke’s office in Berlin. Suspicion of extortion and tax evasion in the old GDR sparked a noble prosecutor in Berlin. 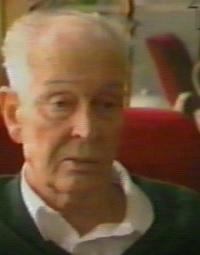 Soon after Wolfgang Vogel and his wife, Helge, were arrested in the prison Moabit, where Mielke was in a cell. From the infamous punishment institute in Stasi’s direction, many people had bought many prisoners. Many realized the absurdity, ”especially as the true criminal, Communist leader Erich Honecker, received a sanctuary in Moscow. Ex-Foreign Minister Hans-Dietrich Genscher and former Federal Chancellor Helmut Schmidt, both of whom plowed to German relaxation, expressed Vogel’s defense. Even church representatives reacted and the Catholic Church paid 100,000 so that Vogel only needed to sit 18 days in the detention. The Supreme Court released Vogel for most of the 1998 prosecution and then the prosecutor returned the rest. The cut: Prime Minister Manfred Stolpe about Svingel in Svenska Dagbladet’s nekrolog. 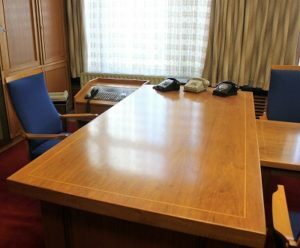 When Svingel delivered supplies every second week, he contacted the Evangelical Eastern Church Secretary General Manfred Stolpe, which led to Hans Segeweisser, DDR’s Secretary of State for Church Affairs – and Wolfgang Vogel. It began with courier trips for the church when the wall prevented other communication. Then the thought was raised to help people who had fallen in East German prisons. For Svingel, it was a privilege to help people, as he said, these devilish prisons. The couple Vogel when Carl Gustaf and Imma Svingel married 1991. One case was Heinz Ulfer who received a long prison sentence because he smuggled a letter. His fiancé Helga Frisch, 27, contacted Svingel who brought the case to Vogel, 41 and new. Tycke arose and Svingel arranged with assistance from Herbert Wehner so that the couple could meet in East Berlin. They married and Helga Vogel became the lawyer’s secretary. 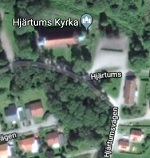 It happened that Herbert Wehner had meetings about the prison lists in the summer house in Spjutterum close to the seriousness of Öland. Swing used to greet more often since illness forced SPD leader Herbert Wehner to leave the policy in 1983. Wolfgang Vogel, Herbert Wehner and Carl Gustaf Svingel. Öland 1986. Mirrored image from the Spiegel. Click to embed image. Sensommaren 1986 celebrated Wolfgang Vogel and Svingel Herbert Wehner’s birthday in Öland. The slaughtered former minister was then retired by the wife Greta, who was also the daughter of Wehner’s deceased wife Charlotte. this story deserve accurate representation. Agree. Translation is i quick fix, to feed indexing för the search machines.